London - The signing of workhorse Nemanja Matic should allow Manchester United to make better use of gifted France midfielder Paul Pogba in the coming years, the club's former forward Brian McClair said. United manager Jose Mourinho acquired the tall Serbian enforcer from Premier League rivals and champions Chelsea for a reported fee ranging from £40 million to 50 million on a three-year contract on Monday. "United need someone who sits there behind Pogba, who played his best football when (current United captain) Michael Carrick also played last season," McClair told ESPNFC (www.espnfc.com). "Michael is coming to the end of a wonderful career, so United need someone who can do something similar but who will be more mobile in the coming years." With Pogba a regular starter for United, Matic looks set to compete for a midfield slot with the 36-year old Carrick, Spaniard Ander Herrera and Belgian enforcer Marouane Fellaini. "In the short term, I could see that someone like Matic would fit in," McClair said. "In some games, Paul Pogba has been in the wrong place and it has stifled his abilities which United bought him for." Matic, who turned 29 on Tuesday, won two Premier League titles in his second stint with Chelsea, having been offloaded to Portuguese giants Benfica in 2011 during his first spell with the club under Mourinho. Pogba, who was shipped out from United to Juventus by Alex Ferguson in 2012 as a 19-year old, returned to Old Trafford last year for a then world record fee of £89 million pounds and endured a patchy comeback. With Matic boosting the array of ball-winners at United, the physical yet talented Frenchman should be allowed to play further upfield to make use of his greatest skills. "Pogba's attributes are all about attacking," said McClair. "He can find a pass, beat a player and has fantastic skills. He can score goals. 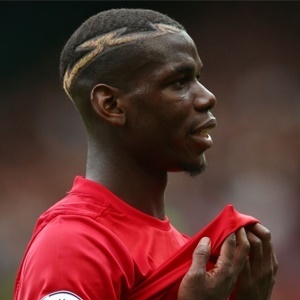 For him to have the best opportunity of success at Old Trafford, Pogba needs to be playing in the final third of the pitch as much as possible." Matic could make his competitive debut for last season's Europa League winners United against Champions League holders Real Madrid in the Uefa Super Cup showdown next Tuesday in Macedonia's capital Skopje. Matic is United's third signing this summer, following Romelu Lukaku from Everton and Victor Lindelof from Benfica.